Like most newer attractions, the Frozen Ever After queue is very well themed, and full of details. 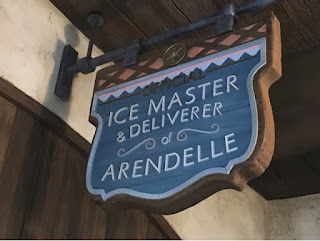 The first section highlights Kristoff's ice business. This sign can be found in that area.